The maker of Pokemon Go has revealed it is working on a Harry Potter-themed follow-up that will also include augmented reality features. Niantic said players would find and fight fantasy beasts in real-world neighbourhoods in the smartphone game, which has yet to get a release date. Pokemon Go reportedly had about 45 million daily players at its peak and generated more than $1.2bn (£915m) in sales. 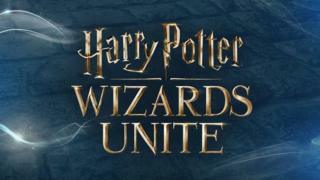 Warner said Niantic's Harry Potter: Wizards Unite was just one of several new games based on JK Rowling's characters that are planned. They will all be released under a new label - Portkey Games - so-named because Portkeys transport wizards from place to place in the books. Claims that Niantic would make a Harry Potter-themed game were first reported in July 2016 but were dismissed as a hoax, not least because the San Francisco-based developer was still rolling out Pokemon Go at the time. The Pokemon title became the first mainstream hit for augmented reality, in which real-world views captured via a camera are mixed together with computer graphics on the screen. Niantic had previously attempted to popularise AR with Ingress, a location-based sci-fi game released in 2012. But it was only after it took on an established brand that it caught the wider public's attention. "I think the Harry Potter game is a huge deal," commented Piers Harding-Rolls from the IHS Markit consultancy. "If you look at the different major franchises out there, I don't think there are many that could do Pokemon Go justice as a follow-up." Relatively few details have been provided at this point about the forthcoming game, except that it will involve players learning spells before exploring their neighbourhoods to search for mysterious artefacts and fight "legendary beasts" with the option to team up with others to "take down powerful enemies". Potter fans have been told they will have to wait until next year to discover more. The title is likely to take advantage of enhanced augmented reality features provided by Apple and Google via their ARKit and ARCore developer tools, which were not available when Pokemon Go launched. But Niantic may be mindful that many of Pokemon Go's remaining fans play it with its AR features switched off because it makes the game easier to play and helps save battery life. "I expect the Harry Potter augmented reality experiences will be more robust and complex than they were in Pokemon Go, which should make the game more dynamic and the experience more engaging," Mr Harding-Rolls predicted. "But I still don't think they will be essential to the experience."